The world comes to western North Carolina for 11 days. 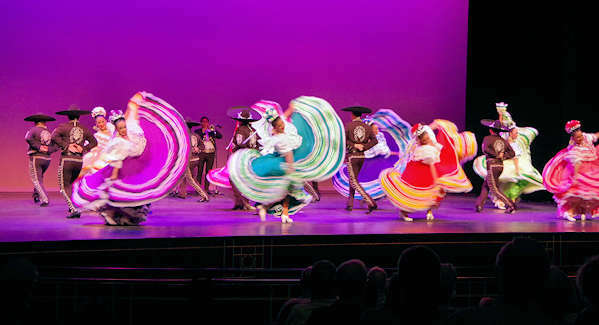 Folkmoot USA, North Carolina's Official International Folklore Festival, is a 10-day celebration of the world's cultural heritage through folk music and dance. 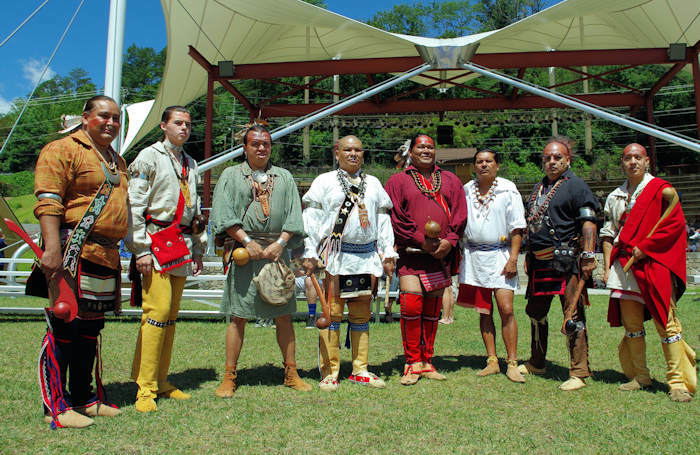 The festival is based in Waynesville, about 25 miles west of Asheville, but performances can be seen in several cities, including Asheville, Cherokee, Franklin, Lake Junaluska, Maggie Valley and Hendersonville. In 2018, we expereienced cultural activities, live music, dance instruction and performances by groups from Ghana, Italy, Czech Republic, Mexico, Venezuela, Jamaica, Northern Cyprus, Thailand and nearby Cherokee. 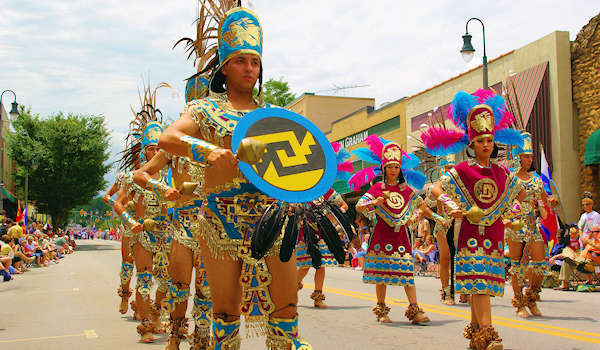 We love the Parade of Nations down Main Street in Waynesville with all groups delighting crowds with dance and music. It's Saturday, July 20 at 10 AM. After the parade, go to Folkmoot's Friendship Center (112 Virginia Avenue) nearby for Many Cultures Day (more info below). 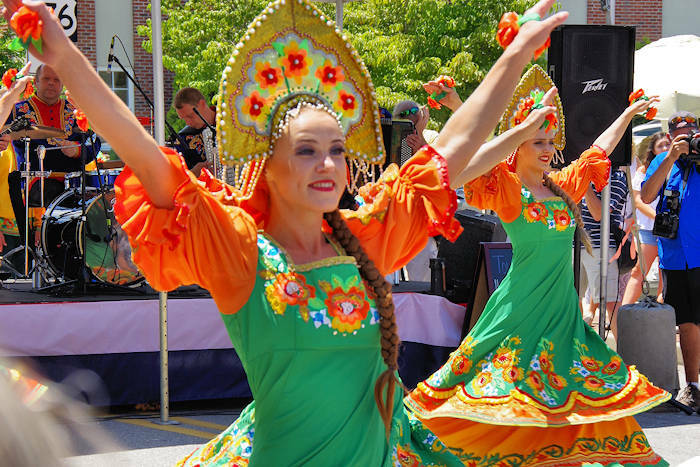 Our favorite Folkmoot event is International Day in downtown Waynesville on July 27, a big street festival with performances, international crafts and much more. Read more about International Day. Folkmoot means “Meeting of the People” in old English and they certainly provide opportunities for cultural exchange. Audiences are invited to meet the performers before and after performances and during other Festival events. Tickets go on sale to general public in May. Purchase online on the Folkmoot Web site, by calling the Folkmoot ticket office at 828.452.2997 or by contacting the specific venue. In 1973, Dr. Clinton Border, a Waynesville surgeon, accompanied a local square dance team to a folk festival in Sidmouth, England. There began the dream that would, 11 years later, become Folkmoot USA. 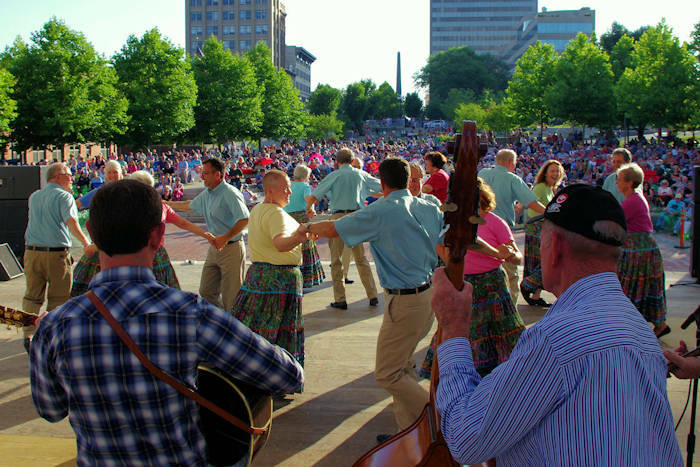 Border was convinced that Western North Carolina, which was already steeped in tradition and dedicated to the preservation of its own heritage, was the perfect location for an international folk festival in the United States. In Folkmoot’s 35-year history, the organization has hosted 8,000 performers from almost 150 countries. Folkmoot performers are primarily college students who serve as cultural ambassadors for their countries. The Folkmoot festival is a strong example of international cultural diplomacy. 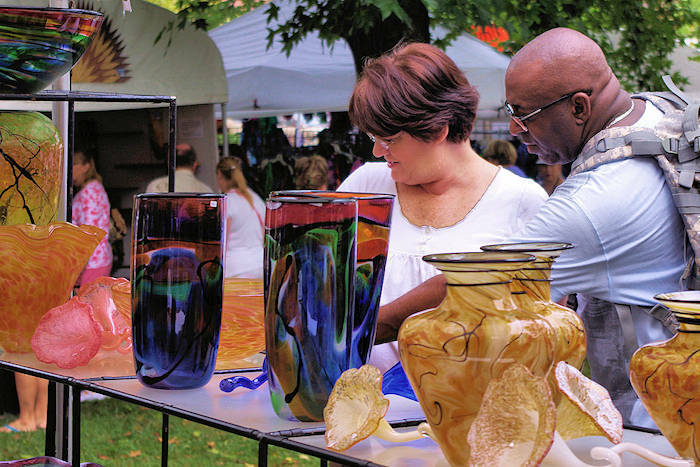 See more things to do in Waynesville. 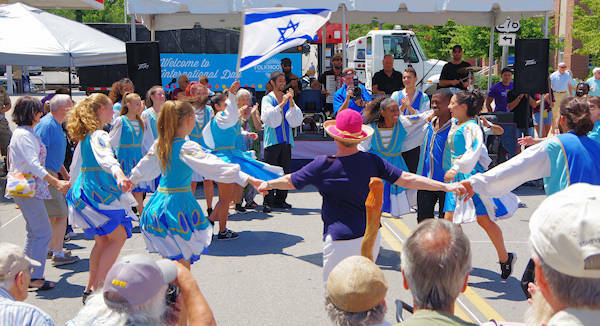 This street festival in downtown Waynesville is the ultimate cultural exchange with international and regional artwork, international dance and music from Folkmoot USA, and great food. 10 AM-5 PM. Free admission.